After more five days the Siege of Keenagh has ended with the election of Labour's Willie Penrose and Fine Gael's Peter Burke to the 32nd Dail. 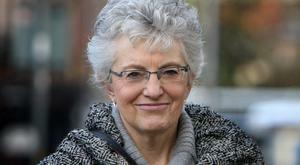 No TDs have been elected after the first count in Dublin south west. Labour suffered a whitewash in the two Kildare constituencies after long serving Emmet Stagg lost a seat he had held in the North since 1997. 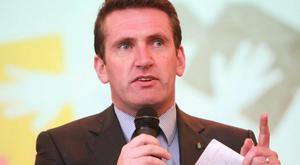 Independent Sean Canney, Fianna Fail's Anne Rabbitte and sitting Fine Gael TD Ciaran Cannon were elected from Galway East. Fianna Fail candidate Catherine Ardagh (FF) said calling a full recount for the final seat in Dublin South Central is "the right thing to do". TÁNAISTE Joan Burton retained her seat after the fight of her political life. 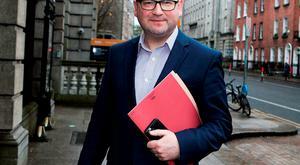 He is the second major casualty in the constituency after Communications Minister Alex White was also voted out. 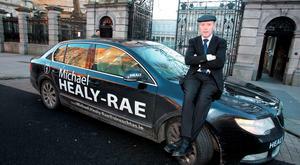 At the 2016 election, CNW returned two FF candidates, first time runner, Cllr Aindrias Moynihan and his namesake, Deputy Michael Moynihan. Waterford has long been considered something of a bellwether constituency and in this election it followed national trends to the letter. 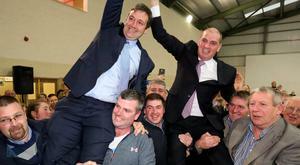 OFFALY poll topper Barry Cowen was elected on the first count with a surplus of 1,357. 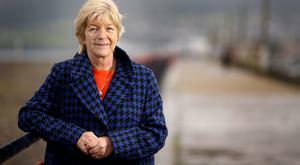 Mary Hanafin has said that Fianna Fail never really stood a chance of being elected in Dun Laoghaire. 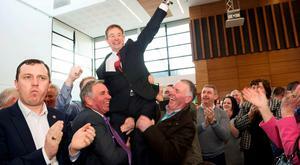 Birthday boy Sean Fleming was the big winner in the new three seat Laois constituency.